For an exciting opportunity to hone your shooting or hunting skills, consider predator hunting. The tactics required to be successful in hunting animals like coyotes and wild/feral hogs can offer benefits to other shooting sports or defense applications in which you may already be involved. Both coyotes and feral hogs require hunting to control their population densities. Coyotes have always negatively affected livestock in rural areas but they have extended their range into urban settings and domestic pets are now subject to these predators. 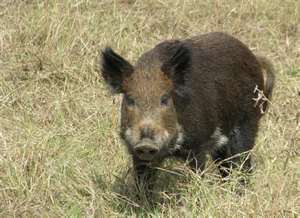 Feral hogs in Texas were responsible for damages to agricultural crops in the amount of $52,000,000 annually (according to a 2011 study by Texas A& M University). While numerous states have now legalized the use of the AR-15 (or modern sporting rifle) for deer hunting, this weapon platform is just about perfect for predator hunting. It is about as light in weight as most bolt action rifles, and its inherent modularity makes it a great choice for specific locations or hunting styles. 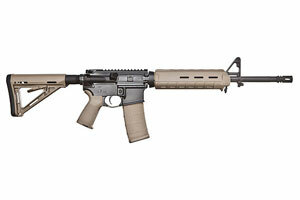 While some manufacturers offer models that are soley designed for predator hunting, the AR-15 you currently own (or any one that you are considering purchasing) may be a great tool for a successful hunt. And with a few simple, inexspensive modifications, a standard AR-15 can be transfromed into a predator hunting rifle that is perfectly designed for your hunting style and location. We will detail a few of the products we offer at DTI in this post and how they can benefit your predator hunting experience. Because the color black is rarely found in nature, it may be a good idea to "camo-up" the weapon. This can be accomplished to some degree by simply installing green (olive drab or foliage) of tan (coyote or flat dark earth) stocks, handguards, and grips. DTI offers these products from manufacturers like Magpul and Vltor that, while designed for primarily defensive applications, can be successfully used for hunting as well. Color choice would obviously depend on the environment in which you plan to use the weapon. Installing a gas block instead of a standard front sight base can be beneficial by allowing you to mount a low magnification scope directly to the picatinny rail of the upper receiver without a riser. Del-Ton has two rifles in our current product line that use a gas block instead of the front sight base for applications just like this (the DT Sport-OR and the Echo 316-OR). If you are concerned about having the ability to use iron sights again, products with an integral sight like the YHM flip up front sight gas block or a model with rails can ease any concern. 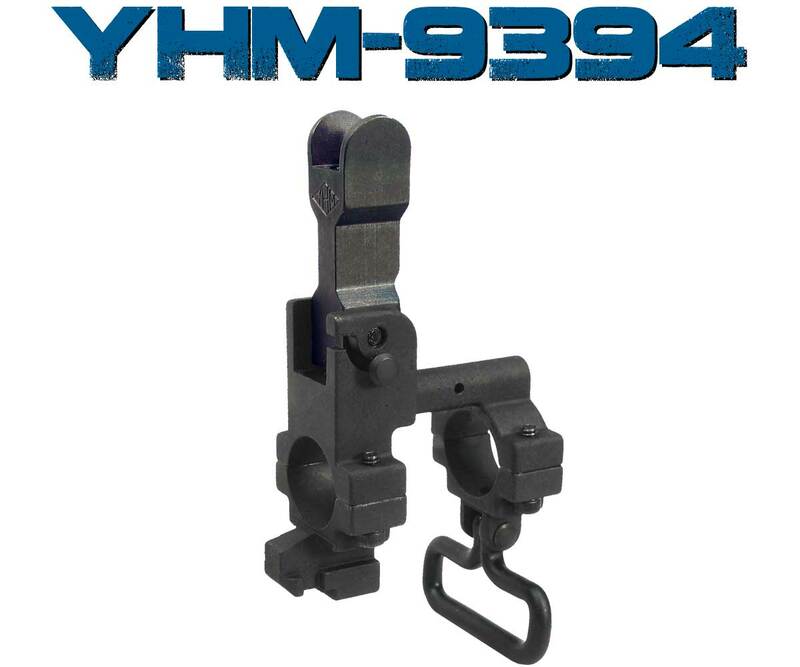 If you do not have a handguard with rails, this latter option can also allow you to mount accessories like a laser or designator for night hunting opportunities. When considering handguards, having a free float model can offer an increase in long range accuracy by not putting any stress on the barrel or affecting harmonics. Smooth free float tubes have been a "standard" on AR-15 rifles designed for predator hunting, but some of the newer models with short, removable rail sections can offer the same benefit mentioned above, while still being comfortable for support hand positions. In the previous blog post, the benefits of bipods were detailed. These are definitely useful in many predator hunting scenarios where shots may be long, and a motion-less wait may be required while calling in game. All of these choices can be narrowed down by focusing on your application. If you hunt in the Western U.S. (where cover is scarce and shots are long), some of the options discussed may have benefits to predator hunting that would not apply for those hunting in the Eastern U.S. (where, due to the dense cover of wooded areas, shots are a little shorter and the animals appear in a more quick and suprising manner). In the next post we will discuss some predator hunting tips and methods that will hopefully help a beginner's hunt be successful and show how the tactics involved can make you a more skilled marksman in other applications. Thanks for reading our blog. If you have any questions about the rifles or parts we offer at www.del-ton.com, plese contact us.